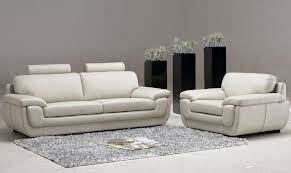 Selecting the perfect furniture for your home is tricky, mainly because there is no right or wrong way. Furniture, like any other object or possession, is entirely a matter of practical taste; one man’s aesthetic perfection is another’s garish textural nightmare. However, if choosing styles of furniture does not come naturally to you, there are some more general rules you can follow to avoid any serious embarrassment or disappointment. In general, a sure fire way to ensure that your new furniture will work in your house, is to choose pieces which obviously compliment the already developed aesthetic of your home. In most cases, classic homes look much better with classic styled furniture. That’s easy enough. Modern homes however can be slightly more tricky, given that they don’t always conform to a conventional aesthetic. In pretty much any type of home though – classic or modern – wood works. So if you find yourself unsure, order some wood samples from Trade Furniture and match them against your home. You’re pretty much guaranteed that one of them will go beautifully. Though it can be good to stick to conventions when choosing furniture (particularly if building a scheme doesn’t come naturally to you), it can also be very effective to mix one style with another. After all, contrast is one of the most powerful aspects of interior design, so choosing furniture that offsets other pieces in your home can have a great effect. Just be sure that there is a degree of consistency in the mixture of colours and schemes you implement. Otherwise, your attempts at fusion will resemble only confusion! It’s an obvious point, but many people forget: measure the dimensions of your home before purchasing furniture! So often do people choose furniture based on their recollection of how it might fit in their home, only to be sorely disappointed when they discover that the beautiful oak table they’ve just purchased is simply not practical for the size of their home. If you find that the above information cannot account for your own stylistic shortcomings, then don’t be afraid to ask someone for advice. Whether you have a friend who has a good eye for these things, or whether you want to double check your ideas with a salesperson in store, don’t shy away from seeking help if you feel your choices will not be good ones!